A senior NATO general echoed the words of US President-elect Donald Trump in acknowledging that parts of the NATO military alliance are “obsolete,” saying it needs to adapt, but cited very different reasons and directions for change. “We have some structures that are obsolete,” NATO’s Supreme Allied Commander Transformation General Denis Mercier told journalists in Brussels on Tuesday, noting that some parts of NATO’s apparatus duplicate each other’s functions and, thus, need to be reorganized and simplified. The general’s comment comes just days after US President-elect Donald Trump branded NATO “obsolete” in an interview for The Times and Bild. However, Trump and Mercier appear to have opposite understandings as to which of the alliance’s operations are outdated and how it should change. 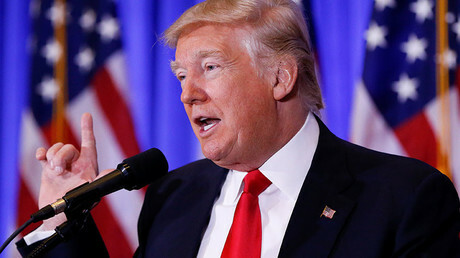 Trump says that the alliance is outdated because it is not really engaged in countering terrorism, which he sees as a top priority at present. 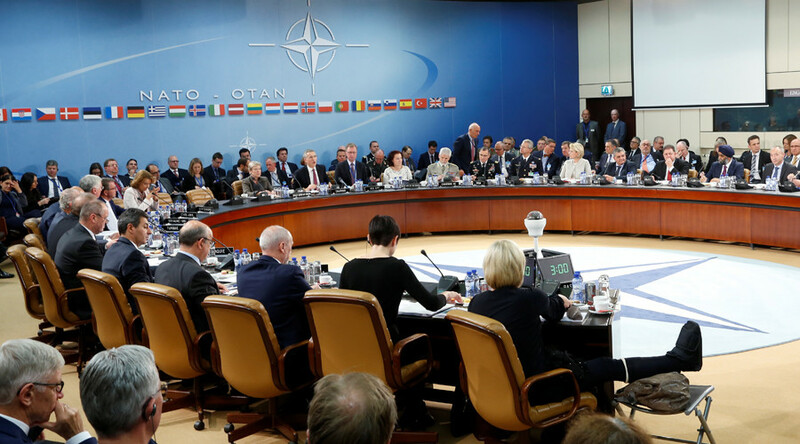 He also noted that members are not contributing enough financially, leaving open the question of whether he would come to the aid of NATO countries that don’t pull their weight. At present, only four of the 28 nations in the military alliance, other than the US, are paying their fair share, meaning the sum the US contributes to the bloc is highly disproportionate. General Mercier also said that the alliance needs to adjust its approach to countering terrorism, but in the opposite way that Trump suggested, saying it has been NATO’s focus on so-called expeditionary warfare, or deploying troops to fight terrorists abroad, that has hindered its efforts elsewhere. “When I look at the threats we are facing now, we see that we may have focused too much, until the Ukraine crisis, we may have focused too much on expeditionary operations, especially in Afghanistan, and doing that, NATO has a bit failed to look at the change in the strategic background… We see that there is a need for adaptation,” Mercier stated, meaning that attention should be shifted from fighting terrorists in the Middle East towards defending Europe. The general, who is involved in the technical side of developing NATO’s future military stance and strategy, said that NATO has now adjusted its strategy along these lines by working on security initiatives with European countries. For instance, he noted that the July 2016 summit in Warsaw saw “a huge adaptation of the alliance,” as NATO nations decided to direct their attention and troops to their eastern and southern flanks to counter an alleged Russian threat and the migrant crisis in the Mediterranean, while signing new agreements to work with outside organizations like the European Union. It was also decided there to send thousands of troops to Eastern Europe for the first time, including 4,000 American troops to be deployed to Poland, who began arriving earlier this month. “If there was not obsolescence in many areas of the alliance, we would not have decided this adaptation, in fact,” Mercier said, as cited by Washington Post. In July of 2016, NATO members agreed to the “biggest reinforcement since the Cold War,” posting four multinational battalions in Estonia, Latvia, Lithuania, and Poland. In November, Washington announced that nearly 6,000 troops, along with tanks, infantry vehicles, heavy howitzers, and combat helicopters would be deployed in Eastern Europe. Earlier this month, hundreds of US military vehicles, including tanks and armored vehicles, as well as loads of heavy military equipment, were unloaded in Germany in order to strengthen European defense capabilities, according to official statements. NATO members cite alleged “Russian aggression” as the cause for the enlargement, while Russia continues to deny allegations that it poses any kind of threat to Europe, while pointing to the heavy build-up of NATO forces at its doorstep as a threat to its own security. “NATO must be dissolved and replaced by a collective security system including Russia,” Wagenknecht suggested to Germany’s Funke media group in an interview on Tuesday.